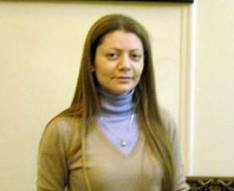 On Monday, December 09th 2013 at 10pm, masked and armed men stormed the office of “Violations Documentaions Centre in Syria” in Douma and kidnapped the prominent activist and human rights lawyer Razan Zaitouneh, her husband, Wael Hamadeh; Samira Khalil, the wife of Yassin al-Haj Saleh, and Nazem Hamadeh, who was running relief activities in the Damascus suburbs. This entry was posted on Thursday, December 12th, 2013 at 12:11 am	and tagged with abduction or Razan Zaitouneh, Razan Zaitouneh, Zahran Alloush and posted in عام. You can follow any responses to this entry through the RSS 2.0 feed.